Growing food brand Kabuto Noodles comes with its own sense of Asian-inspired style. Its website needs to capture that unique, engaging feel without compromising functionality. We designed a beautiful responsive website that mirrored Kabuto’s brand while allowing incredible flexibility for future campaigns. 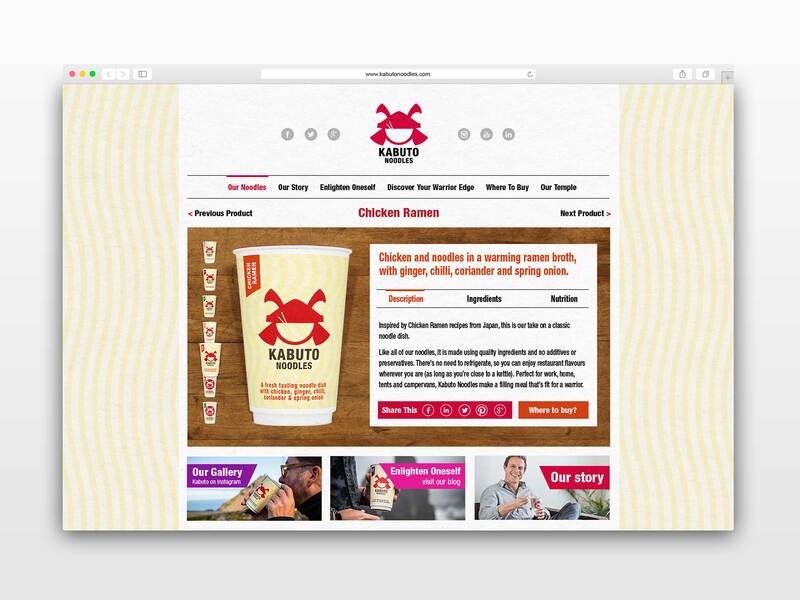 Starting with moodboards and wireframes, we were able to quickly show Kabuto Noodles what we had in store – then iterate on our designs to find a concept the audience would fall in love with. 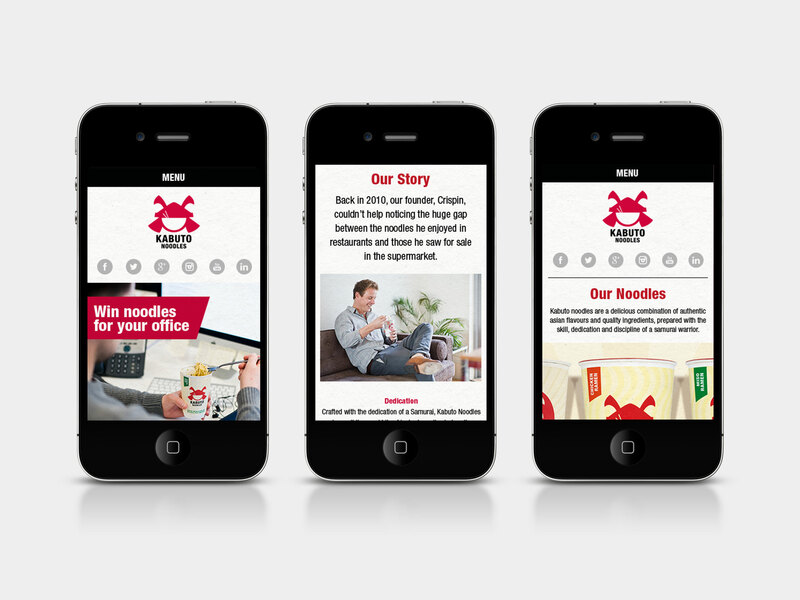 Our process accelerated the time from initial discussions to a live website. What’s more, going live is just the start. With future campaigns in mind, the website includes a flexible Content Management System that makes it easy for the team to change the look and feel on-the-fly. We have gone on to support Kabuto on several projects including press adverts and e-marketing campaigns.